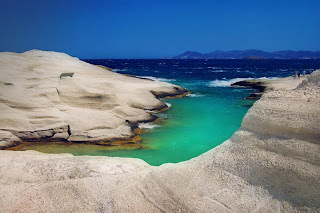 I want to introduce you about a beach of Greech in Milos Island. Oh the name of the beach is Papafragas Beach. It is in Greece. 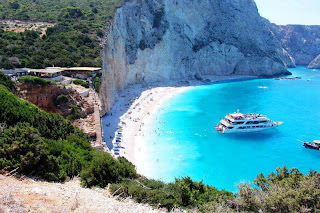 You know that Greece is a land full of beauty, Milos Island, Greece is one such part of this beautiful country offering best of sun, sand and Greek hospitality. Milos is a Greek Island in the Aegean Sea. It was made out of volcanic eruptions. 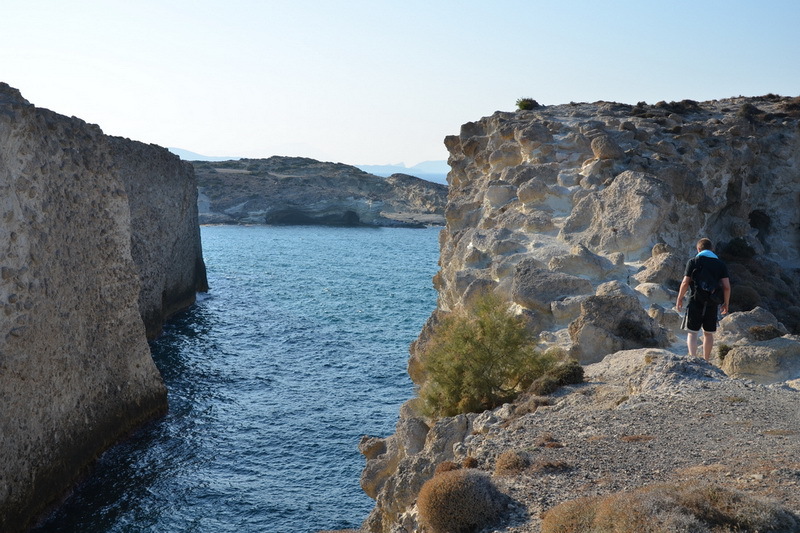 However, of the entire island, it is the Papafragas of Milos, that is one perfect holiday destination. 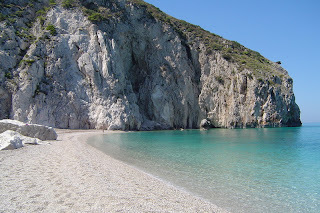 The island of Milos has many beaches which are scattered throughout the island and these beaches are generally very quiet. This is also handy in case the wind (the "Meltemi" wind would sometimes blow) because you can always find a sheltered beach. If the wind comes from the north than you go to a beach in the south (eg Firiplaka, Tsigrado, Agia Kyriaki or Paliochori), and if the wind comes from the south then you go to a beach in the north (eg Mitakas, Sarakiniko or Alogomantra). Milos roads are generally good, but after crossing the roads in Empourios they get worse. The beaches in the west, the area where most of the island monasteries are, are only accessible by private transport. The best beach that can be reached by public transport is the sand / pebble beach of Paliochori. I think you understand about the Papafragas Beach. You need to see it picture to understand its beauty. In the below you can find out some beautiful image of Milos Island of Greece.